Join us for a special screening of The Liberators after the lecture by Thomas R. Kline and Jennifer Morris. 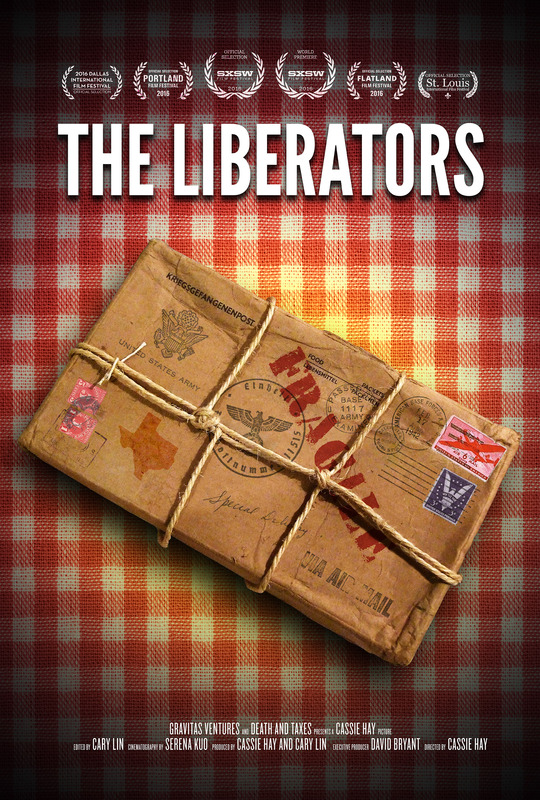 A true detective story, The Liberators follows a dogged German art detective through the New York art world and military archives to the unlikeliest of destinations: a small town on the Texas prairie. 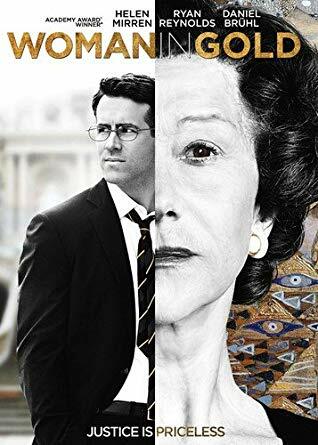 The film raises intriguing questions as to the motivations of the art thief and the whereabouts of the items that, to this day, remain waiting to be discovered. Thomas R. Kline and Jennifer Morris advise clients on art, museum, and cultural heritage matters. 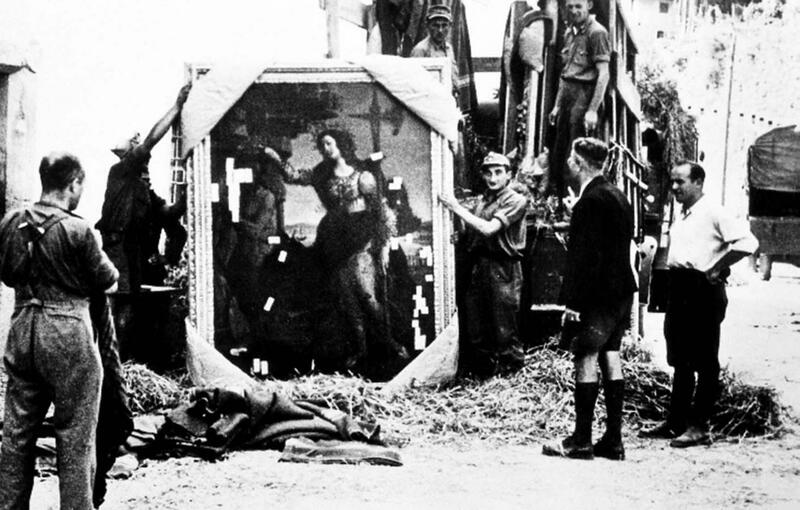 Their experience in the areas of Nazi seizures, wartime looting, forced sales, and thefts has allowed them to resolve a wide variety of disputes on behalf of families, museums, auction houses, and foreign governments.  Kline and Morris will discuss museum ethics and governance issues that affect both private and public collections. 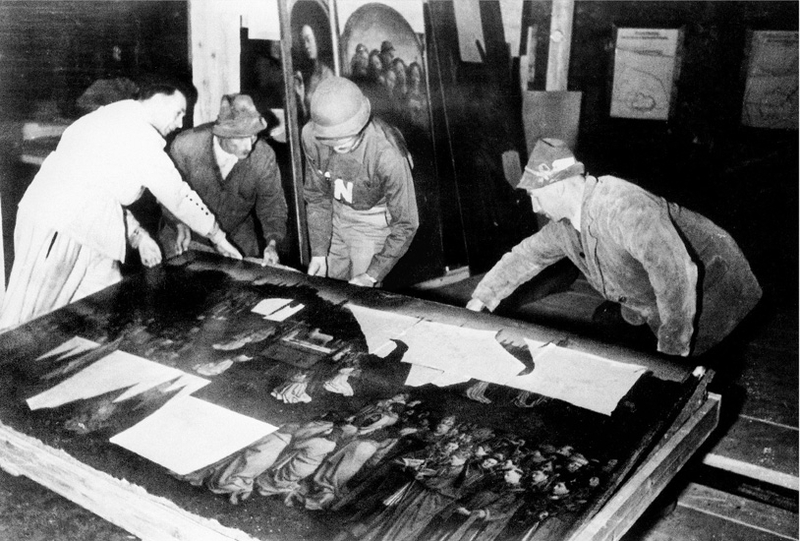 Through a series of case studies, they will address museums’ responsibilities in acquiring and selling artworks; complying with local, state, and federal laws, as well as intentional conventions; and resolving ownership disputes. Non-Members: $5. Purchase tickets here. Sankofa is an Adinkra symbol from Ghana, which translates as “to look into one’s past in order to move forward.” Sankofa: Looking Back, Moving Forward is composed on drawings and prints by artist Steve Prince. His work offers a candid look into America’s past and challenges us to look deeper for meaning and understanding of how we have collectively arrived at this juncture in history. The art challenges us to not only be cognitive of the history and the scars we have sustained, but also posits a message of hope for communal renewal if we dare work together to solve the deep-set communal issues. 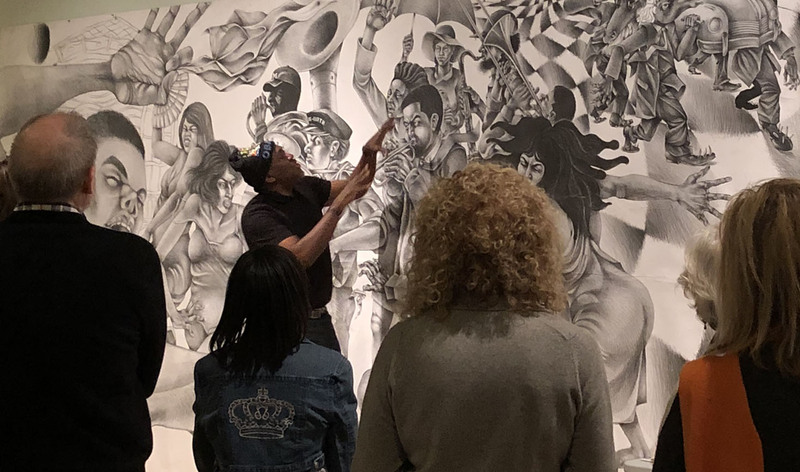 The artist will be in residence at the Stryker Center, ready to engage with visitors while he completes his latest drawing from the series May 13 – 17, 2019. Please join Prince at the Stryker Center on Monday, Wednesday and Friday from 11:00 AM to 2:00 PM and on Tuesday/Thursday from 5:30 to 7:30 PM. For more information, please contact Abigail Bradford at museum@wm.edu or 757-221-2731. The event will also be broadcast on Facebook Live starting at 6 PM for those joining us at home. 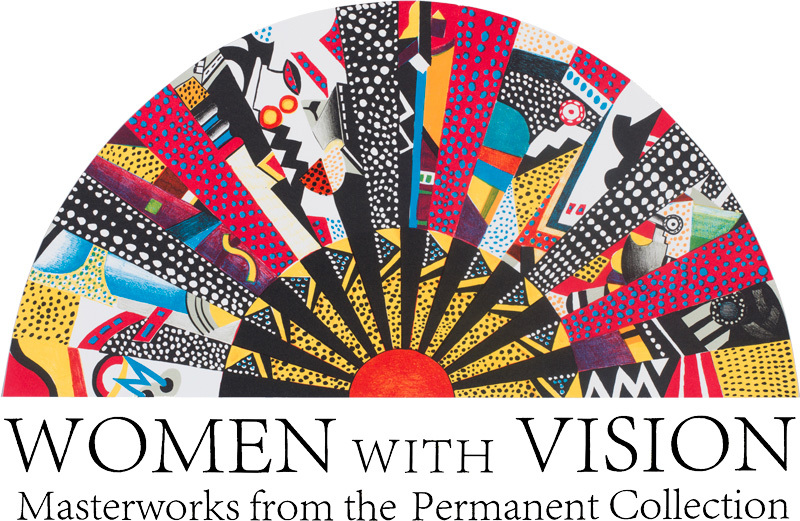 Dr. John T. Spike will examine works from the Muscarelle Museum of Art’s permanent collection currently on view in the exhibition, Women With Vision. 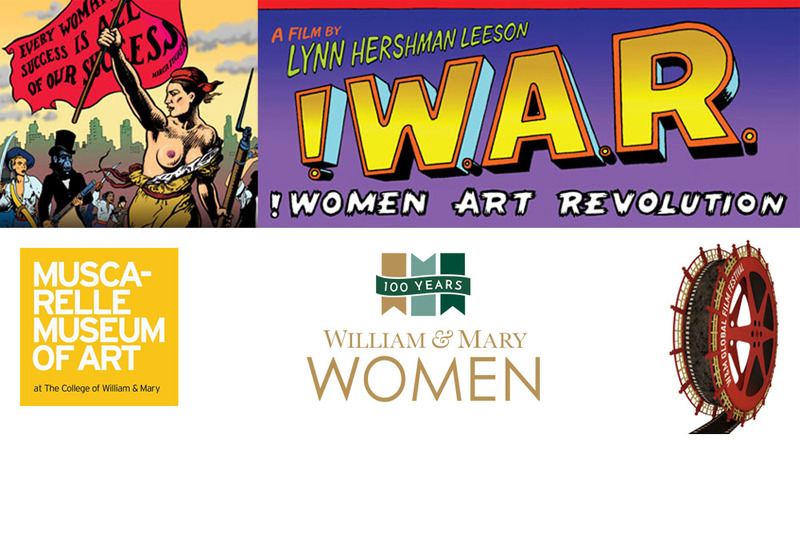 This exhibition is in conjunction with William & Mary’s 100 Years of Women celebration and features over thirty works by prominent women artists comprised of a variety of media, styles, and time periods expressing their vision. The 11th Annual William & Mary Global Film Festival will take place February 15-18, 2018 with four days of films, special guests, workshops, and receptions. The festival will feature a diverse program of films and live events showcasing the work of international filmmakers, William & Mary faculty, and emerging student talent from around the globe. 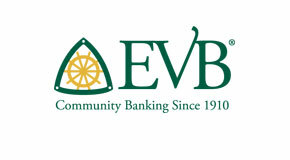 The Muscarelle is a proud sponsor of this event and we will be hosting a Saturday evening reception from 5-7 PM. Tickets are available here. For more information about the Global Film Festival’s schedule and schedule and programs click here. We’re kicking off the Spring 2018 Third Thursday Lecture Series with an in depth lecture on our In the Light of Caravaggio exhibition given by Dr. Dennis P. Weller, who organized and curated the pioneering exhibition, Sinners & Saints, Darkness & Light: Caravaggio and His Dutch and Flemish Followers in 1998. 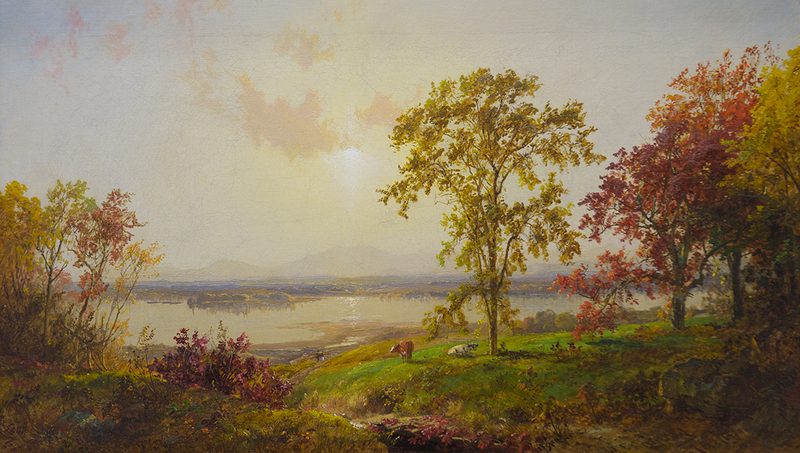 In observation of Thanksgiving, the Museum will be closed on Thursday. We will resume regular hours on Friday. During Dr. Michael L. Blakey’s lecture, he will share research and insight from his groundbreaking work with the Remembering Slavery, Resistance and Freedom Project, and the New York African Burial Ground Project. Dr. Michael Blakey is National Endowment for the Humanities Professor at the College of William & Mary in the Department of Anthropology and American Studies, and is founder and Director of the Institute for Historical Biology. His work examines the interface between human biology and culture, including the social history of theories that connect biology, “nature,” social inequality, and behavior; the articulation between human biology, racial ideology, and public policy; the political economy of health in industrial society; the bioarchaeology of the African Diaspora; and the ethics and epistemology of publicly engaged research. Dr. Blakey served as the Scientific Director of the New York African Burial Ground Project from 1992-2004. The author of numerous publications and the recipient of many commendations and awards for his contributions to our collective understanding of the impact of racism on science and society, Dr. Blakey is currently the Director of the Remembering Slavery, Resistance and Freedom Project. In honor of the Fiftieth Commemoration of the first residential African American students at W&M, pianists Christine Niehaus and Liam Farrell will present ragtime and jazz compositions, respectively, in the backdrop of the exhibition Building on the Legacy. Christine Niehaus has performed concerts in Russia, Sweden, France, Italy, Japan, Hong Kong, and Slovenia. In the US, she has performed at Weill Recital Hall in Carnegie Hall, Lincoln Center, the Smithsonian Institution, the White House and the Kennedy Center among many others. She was honored as “one of the 28 Leading Washington Women Performers” by The Washingtonian Magazine. Liam Farrell is a senior at the College majoring in Music and Government. Graduating in 2017 with plans on attending law school in 2018, Farrell is also the Director of the Wham Bam Big Band, a student-run jazz ensemble, a piano student of Harris Simon, and a member of the W&M Mock Trial Team. Music in the Gallery is presented by the Friends of the Muscarelle Museum of Art. 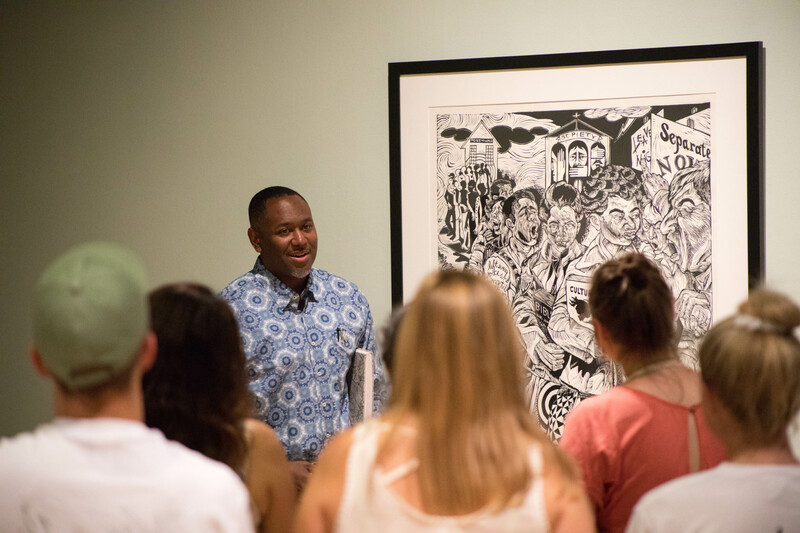 Dr. John T. Spike will examine works from the permanent collection in conjunction with our current exhibition, Building on the Legacy: African American Art from the Permanent Collection. 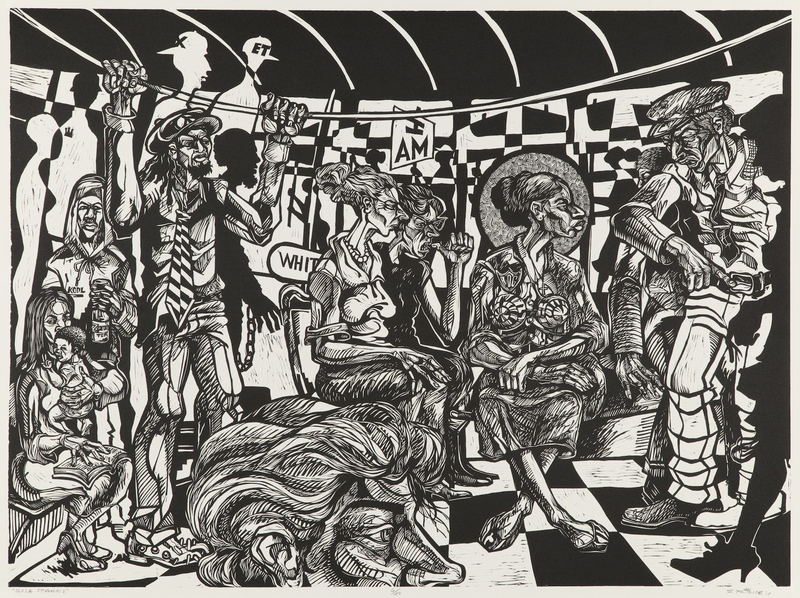 This exhibition, in honor of the Fiftieth Commemoration of the first African American residential students at William & Mary, features more than thirty paintings, drawings, works on paper and sculptures by some of this country’s most renowned artists. Dr. John T. Spike will give an illustrated lecture focused on Fred Eversley’s fascinating career and his contemporaries in the Light and Space and Minimalism movements in the 1960s, especially Robert Irwin, James Turrell, and Richard Diebenkorn. This lecture is given in conjunction with our current exhibition, Fred Eversley, 50 Years an Artist: Light & Space & Energy. During this lecture Kemin Hu, one of the foremost experts on Scholars’ rocks, will discuss the philosophy, types, and connoisseurship of these special stones, as well as their reception in the Western world. 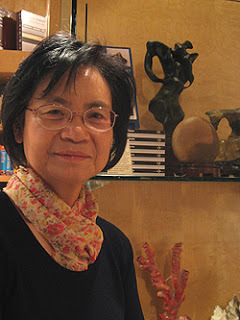 Kemin Hu gained appreciation of Scholars’ stones through her father, a noted connoisseur of Chinese antiquities. She has become a recognized authority on Scholars’ rocks through her long career as a dealer, collector and author, educating the world on these unique objects. Kemin Hu’s personal collection of Scholars’ stones is one of the finest and most comprehensive of its kind in the world. It is the result of a lifetime of collection based on stringent, high-level criteria. Considering both the care taken to assemble this collection and the demand among collectors for high-quality stones in modern China, it would be impossible to duplicate it today. Kemin Hu is the author of several books on the subject, including Modern Chinese Scholars’ Rocks, Scholars’ Rocks in Ancient China: the Suyuan Stone Catalogue, The Spirit of Gongshi and The Romance of Scholars’ Stones and Spirit Stones: The Ancient Art of the Scholar’s Rocks. 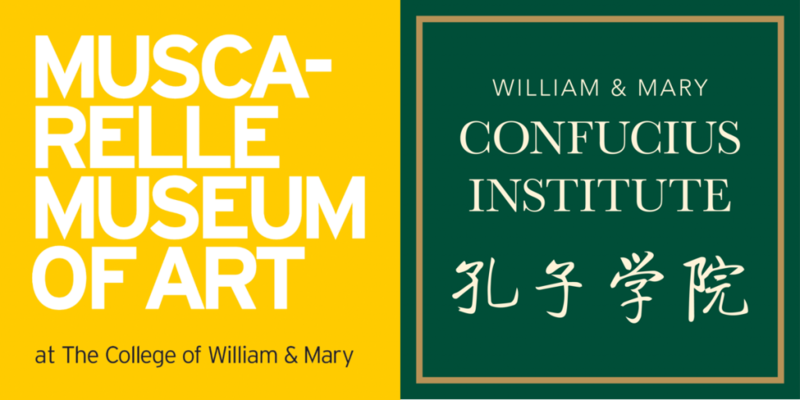 This lecture is co-sponsored by the Muscarelle Museum of Art and the William & Mary Confucius Institute held in conjunction with the current exhibition, The Bones of the Earth: Scholars’ Rocks and the Natural World in Chinese Culture, Selections from the Robert Turvene Collection. Parking is available in the Jamestown and Phi Beta Kappa lot adjacent to the Museum. 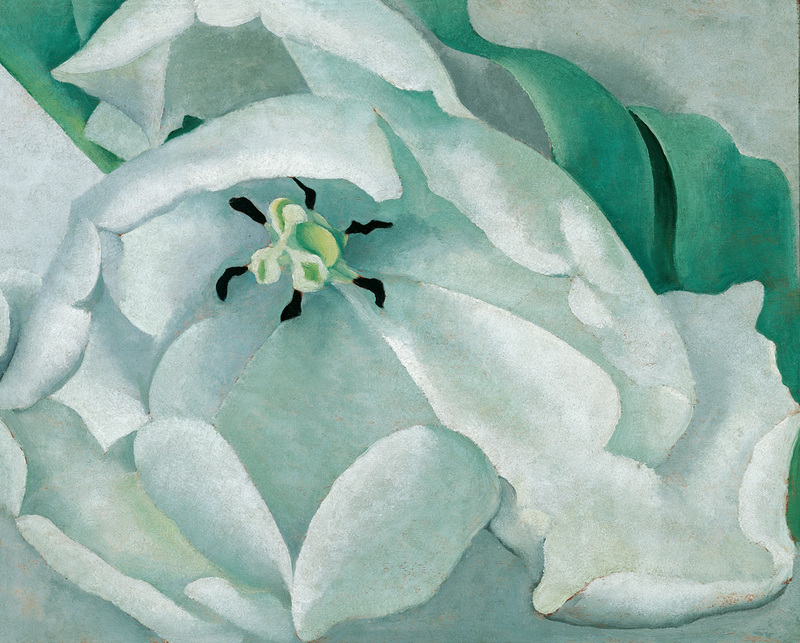 Now on view in the downstairs Sheridan Gallery, The Art & Science of Connoisseurship casts an expert eye at six recent acquisitions for the Muscarelle Museum of Art’s permanent collection. These paintings by an outstanding group of artists — Agnolo Bronzino, Annibale Carracci, Guido Reni, Peter Lely, Peter Paul Rubens and Paul Cèzanne — represent several centuries of achievement, ranging in date from 1529 to 1866. In his illustrated lecture, Chief Curator, Dr. John T. Spike will be our guide through this fascinating show devoted to the pinnacles and pitfalls in the identification of these previously misattributed works of art. 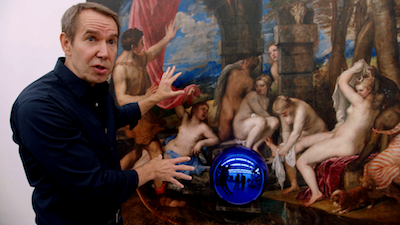 Dr. Spike will be filling in for our previously announced speaker, his friend Marco Grassi, renowned art restorer, who will speak at a future date. 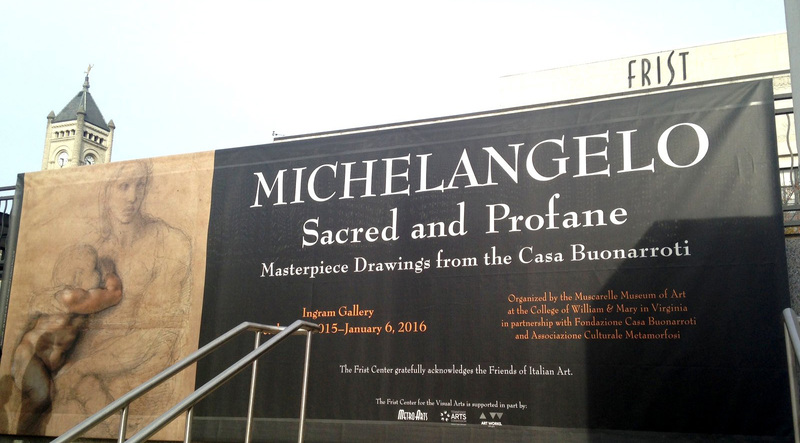 For more information, please contact Liz Jacob at museum@wm.edu or 757-221-2731. 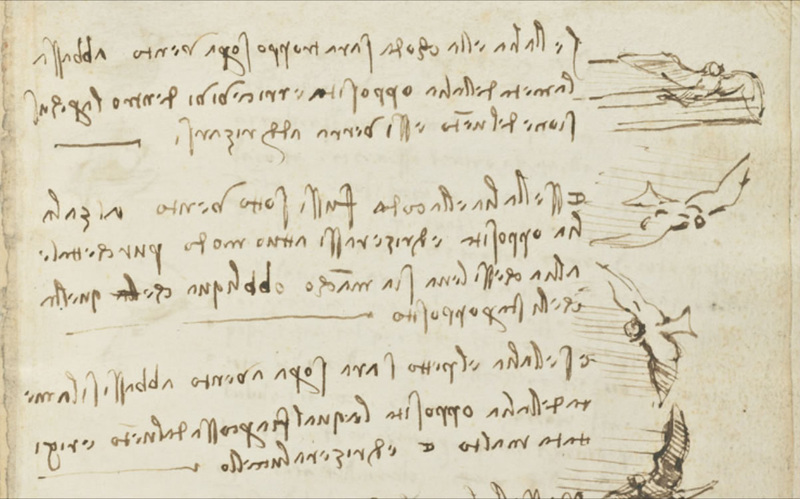 Assistant Director and Chief Curator, Dr. John T. Spike will present an illustrated lecture comparing the paintings of Botticelli to his famous Florentine contemporaries, including Leonardo da Vinci and the young Michelangelo.